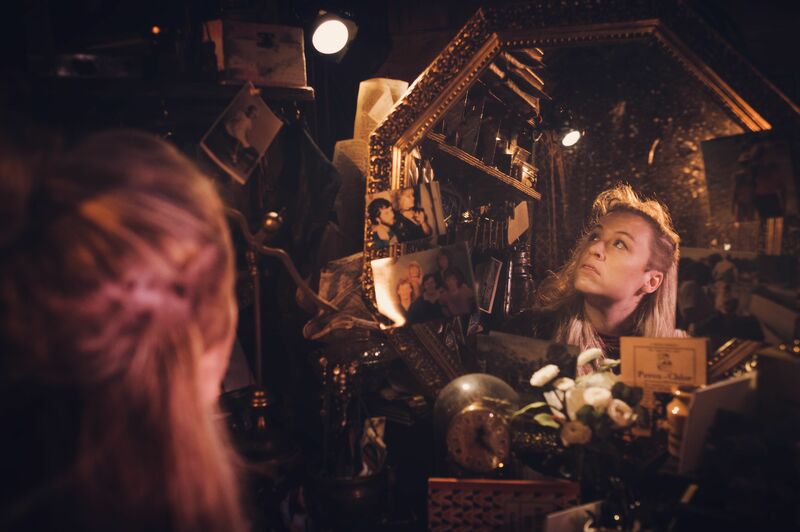 The Archive of Educated Hearts is Casey Jay Andrews’ one woman play, which was first performed at The 2018 Edinburgh Festival. The show focuses on the impact breast cancer can have on families, and features verbatim interviews with four women Casey knows personally – Three who have been diagnosed with breast cancer and Casey’s nan, who has watched her daughters go through the illness. The show also includes quotes from a social etiquette book called “Have you an educated heart?” by Gelett Burgess and quotes from Casey about her own experience of watching her family members experience cancer. The intimate show takes place in an archive filled with keepsakes, photos and other treasures of the four women Casey interviewed for the show.